There are two main sections to this book: the General Training Reading and the General Training Writing. The units and the activities have been numbered separately in each section. Answers for the activities and the practice tests are in the Answer Key at the end of the book. • an overview of the test, which describes the General Training Reading, the types of texts, and the question types. • a chapter on the skills you will need for success in the IELTS exam. • the sections of the test, and the text and question types in detail. For each section there is an explanation of appropriate reading skills for the text and question types common to that section. The purpose of this explanation is to help you understand the purpose of the question type and of the appropriate skill for answering the question. After the explanation, there is a guided practice. Here useful skills and strategies will be explained in detail, and there are exercises for you to practise the skills. Then there is an exam practice, which provides readings and questions for you to work through as you would for the actual IELTS exam. Follow the instructions for each activity and, when you have finished, check your answers in the Answer Key in Appendix 1 at the back of the book. • three practice reading tests and a reading answer sheet, which you may copy. • discussion and explanation of the criteria on which the tasks are marked. You can do the sections in any sequence you wish, but you will gain the greatest benefit by working through the units before you do any practice tests. would you be able to send it to me ? 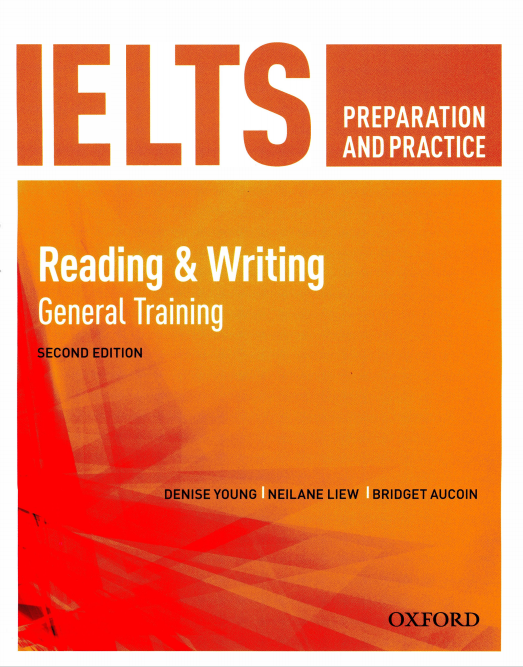 Please I kindly ask you to send me by email the IELTS Preparation And Practice: Reading & Writing General Training (Ebook) General Training.